In the late 1950s, Roger Picard (who was then mayor of Berru) planted vines on parcels of land that had just been granted the Champagne Appellation d’Origine Controlée. 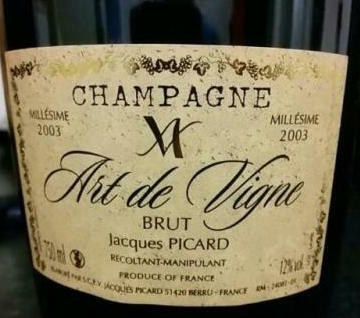 In the early 1960s, his son Jacques Picard started his business and produced the first bottles of champagne under his own name. Over the years Picard invested to build and sustain the champagne house and build its reputation for quality. The vineyard was developed, the cellars were enlarged and the buildings were extended. By then, Jacques Picard performed all the different tasks of champagne production – everything from planting grapes to selling the finished wine – at their Champagne estate. In the 1990s, Jacques Picard’s two daughters Sylvie and Corinne (with their husbands) took over the business. Together, the family has continued to develop and modernize the business, respecting its traditions, philosophy and high-quality production which characterizes the brand Jacques Picard. As winegrowers and producers, the whole production process from growing the grapes to putting the finished bottles into cases still takes place on the Picard estate. 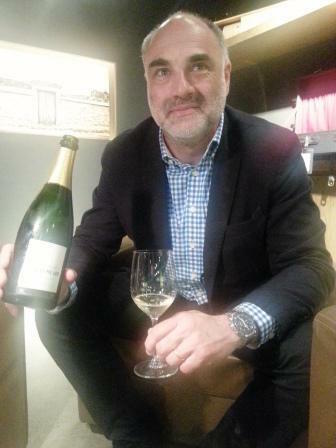 The winemaking now falls to José Lievens, husband of Corinne and son-in-law of Jacques Picard. Here his three cuvees brought into Texas. A blend of 60% Chardonnay, 35% Pinot Meunier, and 5% Pinot Noir (Chardonnay and Pinot Noir are from Berru. and the Pinot Meunier is from nearby Montbré). This cuvee is based on 2011 with 50% reserve wines (2010, 2009, 2008, and 2007 and 5% of the estate’s solera). After the second fermentation in the bottle, it is aged three years on the yeasts and dosed to 8 grams per liter (true Brut). Straw in color with green highlights and fully sparkling; dry, medium-bodied with fresh acidity and scant phenolics. The nose offers coconut, toast, spice, citrus and some red fruit and the palate follows. A core of mineral earth holds it together. This is a bigger richer style of Brut NV. BearScore: 91+. A unique estate-bottled blend of 90% Chardonnay with 10% Pinot Noir Champagne Rosé. The color comes from the red grapes/juice getting a 6-7 day maceration (with no alcoholic fermentation) before being blended and co-fermented with Chardonnay and 8 months of vat aging before bottling. This bottling is based on 2010 with 30% reserve wines added for depth and richness. Aged over 4 years on the yeasts before it was disgorged in October 2015. Dosage at 8 grams/liter. Pale-salmon-orange in color; dry, medium-bodied with fresh acidity and scant phenolics. Integrated complete style of Rosé with enough red fruit and lots of Chardonnay (citrus and focus) character. the fruit, mineral earth, and yeastiness all knit together. More elegant aperitif style of Rosé. BearScore: 92+. An estate-bottled blend of 60% Chardonnay, 20% Pinot Noir, and 20% Pinot Meunier all from vineyards over 40 years old in Berru to the northeast of Reims. Barrel-fermented and aged with batonage (lees stirring) in a mix of used Burgundy barrels and some new barrels. 5 years en tirage (on the yeasts) as it develops in the bottle. Finished with a dosage of 4 grams of sugar per liter. Medium gold straw in color and fully sparkling; dry, medium-full-bodied with fresh acidity and scant phenolics. Focused and fresh with lots of depth and development. Contrasty and complex but with good integration. Complete. The citrus is more dominant but the red fruit is there along with lots of richness from the barrels and the extended lees aging. Textural complex compelling Champagne. BearScore: 94+.